Mix all ingredients and wrap a teaspoon full of dough around a frozen Hershey kiss. Place on ungreased cookie sheet and bake at 350�F for 10 to 12 minutes. 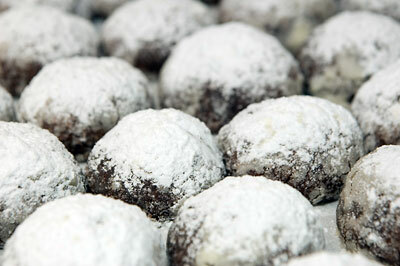 Let cookies cool for 3 to 4 minutes and then roll in powdered sugar. Let cool completely and roll in powdered sugar again.